Rescue Products provide a complete lifting bag system including High Pressure 8.0 BAR Lifting Bags, control units (single and dual), colour coded hoses, protective mats and chocking. Our High Pressure 8.0 BAR Lifting Bags are reinforced with Kevlar cord and have a patented construction assuring excellent operation over long periods of time. High Pressure 8.0 BAR Lifting Bags are simple to use. The surface interlocking dimples provide superior grip so sliding is almost impossible even when two bags are stacked on top of each other. Our range of bags have a lifting capacity from 1 to 64 tons, which enable us to provide you with a bespoke system to meet your requirements. Find out more about our lifting bags and accessories. Rescue Products provide a complete lifting bag system including Medium Pressure 1.0 BAR Lifting Bags, control units, colour coded hoses, protective mats, chocking and a general purpose all in one kit that takes the guesswork out of your requirements. Our Medium Pressure 1.0 BAR Lifting Bags are reinforced with a thick multi-layer of textile-reinforced rubber with a good puncture resistance and have a patented construction assuring excellent operation over long periods of time. Our Medium Pressure 1.0 BAR Lifting Bags lifting bags are simple to use. They are ideally suited for rescuing people trapped under a vehicle in road accidents, plane crashes, or collapsed tunnels, bridges and formworks, namely in situations where conventional rescue methods cannot be employed or would be too time-consuming. Our range of bags have a lifting capacity from 3 to 12 tonnes per bag, which enable us to provide you with a bespoke system to meet your requirements. Rescue Products provide a complete lifting bag system including Low Pressure 0.5 BAR "MAXI" Lifting Bags, control units, colour coded hoses, protective mats, chocking and a general purpose all in one kit that takes the guesswork out of your requirements. Our Low Pressure 0.5 BAR "MAXI" Lifting Bags have positive-grip rubber microtread top & bottom pads that assure bags will stay where you put them, in all conditions and have a patented construction assuring excellent operation over long periods of time. Our Low Pressure 0.5 BAR "MAXI" Lifting Bags are simple to use. They are an excellent choice for large vehicles, trucks, trailers and aircraft recovery operations. Maxi cushions are up to 2,1 m tall with lifting capacities of up to 9 T (each). Used for uprighting large soft sided trailers, rail cars or anything that requires heavy lifting with minimum concentrated lifting force. Place multiple bags side-by-side for extremely heavy and delicate up-righting. Our range of bags have a lifting capacity from 4 to 9 tonnes per bag, which enable us to provide you with a bespoke system to meet your requirements. Our range of forcible entry tools include Hooligan Tools, Kelly Tools, Pry Axes, Biel Tools and Super Ram bars. Hooligan tools are the world's most popular heavy duty forcible entry tools and are suitable for forcible entry, lock removal, metal cutting and gas line shut off. For more than 35 years the Hooligan Tool has set the standard of excellence for forcible entry tools. Kelly Tools have the same features as Hooligan Tools, except the spike is omitted. Biel Tools are personal sized and used for forcible entry and rescue. Find out more about our forcible entry tools. The design of the seat belt cutter has been used extensively in aviation. Now frequently used by the police force and fire brigades, it is a robust tool that provides a quick and accurate cut of the seat belt for easy access. The Winsaw is used extensively by fire brigades as it allows a total glass windscreen to be removed in less than a minute. Manufactured by Rescue Products it is offered as a standard tool or complete with a window punch. Find out more about our rescue tools. Rescue Products are the UK’s sole distributor for Amkus hydraulic cutting and spreading equipment. The cutting and spreading tools are extremely compact, powerful and versatile. They are made to a proven design with thousands in use worldwide. They are capable of all automotive cutting requirements and are anodised for corrosion protection. The tips remain parallel to the cylinder throughout the spread allowing them to stay in contact with the material continuously for maximum spread (helps avoid piercing with the tips). Find out more about our cutting and spreading equipment. work platform on water, wetlands or ice. A decontamination unit is intended for a fast decontamination of protective clothing, which was exposed to radiological and chemical contamination. Our inflatable stretcher is designed for use in all conditions and provides total safety and protection of the wounded during a rescue action on shore, in the water or air. Find out more about our inflatable rescue products . Due to simple handling, carrying and storing air shelters are an ideal solution for rescue situations. The inflatable frame is made from neoprene-impregnated nylon fabric, the floor from a high quality PVC impregnated fabric, and the baldachin from neoprene or PU-impregnated fabric. Our range of market leading accessories cover all the bases when it comes giving you the ability to get the most of our Rescue Air Shelters. Our Floating Containment Booms are tremendously rugged owing to their unique innovative design for example most metal parts encased in the rubber sections, especially chains, to prevent corrosion particularly that of sea water. The boom ends are stainless steel and enable linking of several segments. Find out more about Floating Containment Booms. These lifting bags are designed for recovering aircraft, from large commercial airliners to small business jets. The number of lifting bag sets and the type of bags will depend on the aircraft to be recovered as well as the nature of the incident. They can be used as stand alone recovery systems or in combination with conventional recovery methods. Surface ribs promote superior grip inside the pipe. Self Supporting Interceptive Tanks: are used for emergency interceptions of hazardous liquids or for creating water supplies, for extinguishing, snowmaking, etc. Transport Tanks: are basically closed rubber tanks which can be fixed on conveyances (truck, etc.). Closed Rubber Tanks: are suitable for storage of various liquids. Drinking Water Tanks: are closed rubber tanks made of materials suitable for storage and keep- ing of drinking water. Find out more about our Water Defence Equipment. Waterwalls are designed for a very fast deployment of flood protection. They can be used in a wide variety of flood situations. technical information on the range of specifications that are available. 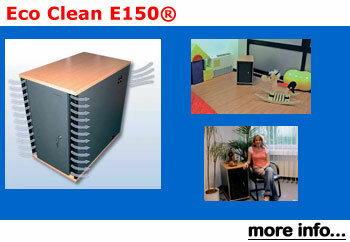 Find out more about our Air Purifying Equipment.